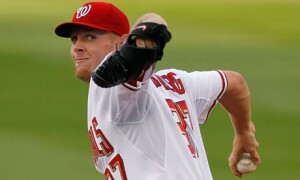 For years its been Stephen Strasburg, even when Gio Gonzalez and Jordan Zimmermann were getting Cy Young votes (Gio 3rd place in 2012 and Jordan 7th place in 2013). 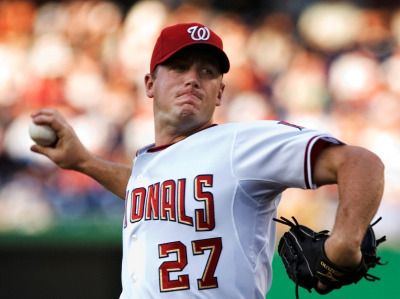 Its been Strasburg even when Zimmermann makes two consecutive all-star teams and the team acquires Doug Fister, who is 13th in the majors in accumulated fWAR over the past four seasons. Its still Strasburg despite the fact that #5 starter (and someone who people in this space argued rather vociferously for “stashing” in AAA this year in lieu of other pitchers) Tanner Roark leads the team in victories right now. (all stats on baseball-reference.com and/or fangraphs.com as of 7/31/14). He leads the starters in FIP and xFIP, (indeed; among qualified starters right now in MLB, he’s 11th in FIP and 4th in xFIP, training just leading Cy Young favorites Clayton Kershaw, Felix Hernandez and Masahiro Tanaka). He leads the Nats starters in fWAR. He leads the NL in strikeouts with 10 more than his closest competitor Johnny Cueto. I dunno. If someone told me that a starting pitcher was leading the league in Ks, was 4th in xFIP, 11th in FIP and was 6th in velocity i’d say you had a pretty darn good pitcher. But he’s been arguably the Nats *least* effective starter this year all in all. Yet he’s just 7-9 on the season with a 3.55 ERA (one 1/100th of a point better than Zimmermann for last on the Nats rotation). He has the worst WHIP of any of our starters at 1.240. The team is just 11-12 in his starts. His current BABIP against is an astoundingly high .345. That’s the third highest BABIP of any qualified starter this year and a good 50 points higher than the league average. Why are hitters getting such good wood on him? Here’s a hint: for reasons unknown, batters are squaring up his fastballs like never before. Checking his Pitch F/X data: he’s got a batting average against (BAA) of .294 on his four-seam fastball and an astounding .350 against his two-seam fastball. Both of those figures are 50 points higher than the comparable BAA for those two pitches from 2013. His velocity is down. Which is kind of like saying that a model has gained a few pounds, but still. Last years’ avg MPH on his two fastballs were 95.2 and 95.3. This year? 94.5 and 94.6. That’s just 7/10ths of a mph, and even with his loss of velocity he’s still easily in the top 10 in the league in average fastball velocity (6th in four seam velocity among starters), but its still declining. In his 5 pro seasons his 4-seam average fastball velocity has gone from 97.6 to 96.0 to 95.8 to 95.2 to his current 94.5. It sounds to me like a combination of slightly declined fastball velocity and some bad luck has led to hitters squaring up his fastballs more this year, resulting in more line drives, higher BABIP and more runs. That more or less explains the huge delta between his ERA and his FIP. But why? Pitch F/X isn’t showing much of a change in fastball movement from last year to this year, so it is hard to argue that he’s lost movement on his fastball. Could it all just be about location? Home ERA: 2.62. Away ERA: 4.68. Yeah, but lots of pitchers have big home/away splits. First Inning ERA: 5.09! Second Inning ERA: 4.30. He’s getting hit early and often. He’s improving as the game goes on; his stats against the order the second time through are significantly better than the first time through, something you don’t normally see. If he’s so bad in the first inning, is he just having difficulties getting loose and finding his spots? Is he falling behind and grooving fastballs and getting more line drive hits? Why is he so significantly worse on the road? On the bright side, the combination of an inflated BABIP and a huge delta between xFIP/FIP and his ERA does tend to indicate that there should be some regression back to the mean. Maybe we’ll start seeing a bunch more of 7ip, 4hit, 2walk, 10K outings and he’ll break off a slew of dominant starts to help the Nats pull away in the division, just in time to lead the charge with a home-field start in game 1 of the playoffs. Thoughts? Are you worried? What else do you think is causing his troubles this year? MASN deal reached? And now they’re fighting in court? H/T to my friend Jason Amos who sent me this link, posted earlier today. Looks like nobody else has it yet. Makes me slightly wonder about the veracity. Read the details. Apparently the eternal “committee” studying the MASN compensation issue reached a verdict that Peter Angelos didn’t like, and things are starting to get nasty in court filings. Wow. Sounds like things are about to get dirty between Angelos, Ted Lerner and wishing-he-had-retired-already Bud Selig. Continuing my coverage this year of youth baseball. We covered the local High School tournaments and Little League tournaments so far. We talked about all the local area draft prospects ahead of the draft. I have a draft post covering the multitude of College Wood Bat leagues, but since those leagues are almost over I may just save it for next year. Now lets try to bridge the gap between little league and high school. then if you were good enough you’d play HS ball in the spring and you’d play American Legion in the summers. But you could always play “Senior” Babe Ruth from the time you were 16-18. Travel teams; do they even have “leagues?” Or do they just go to tournaments? Back in the day, when Babe Ruth had no competition for the youngest teens, winning the 13-year old and/or the 13-15 year old Babe Ruth tournaments still meant something. Likewise, American Legion was essentially a hand-picked/all-star team of your hometown high schools. Now, I’m not so sure. How is American Legion faring, considering that big-time travel teams now have all the major prep prospects out there? As far back as 2005, there were stories in the Washington Post about how Legion ball was badly suffering. It seems to me now that Legion ball is struggling just like senior Babe Ruth ball. Babe Ruth 13s: Gainesville-Haymarket beat Greater Loudoun for the state title. Regionals are Sarasota, FL starting 7/30/14. Nationals are in Glen Allen, VA.
Babe Ruth 13-15s: Arlington beat Greater Loudoun for the state title. They move onto regionals in Varina (Virginia) starting 7/30/14. Babe Ruth 16-18s: Greater Fairfax beat Northern Fairfax County for the state title. They move onto regionals in Alabama starting 7/23/14. (Editor’s update: Greater Fairfax came out of the loser’s bracket after breezing through pool play to make the finals, but lost to the Alabama state champion Gulf Coast in the SE Regional final). Cal Ripken Leagues (not to be confused with the Cal Ripken Collegiate league, nor “Ripken Baseball,” a for-profit academy run by the Ripken brothers) have all finished their state tourneys as well, and most of those state champs are already deep into their regional tournaments. I have no information on Pony League baseball, other than what’s on their incredibly confusing website. Pony baseball has more divisions than … well something with a lot of divisions. My pun-making ability failed me here. I have no idea if there’s even organized leagues for these multitude of travel teams. I know there’s an official Northern Virginia Travel League, but nowhere on this site can i find something like a “schedule” or “standings.” Do these teams just exist to go play weekend tournaments? The locally based EvoShield Canes “schedule” is just a list of tournaments they’re playing in. So what do these teams do the rest of the time? Don’t they play regular games? I dunno. My kid is too young to force me to know all these things yet. Hell, he may not even play baseball. Are there readers out there who can fill me in? Is it even worth tracking these all-star results anymore, thanks to the complete dilution of talent? We reviewed the local Little League All Star results for the District tournaments in Northern Virginia and Maryland in mid July. Here’s a review of how the three local state tournaments went. Maryland and DC’s champions move on to compete in the Mid-Atlantic Little League Regional, comprised of DC,MD,PA,NJ,NY and DE, and this year held in Bristol Connecticut. Virginia’s champion moves on to compete in the Southeast Little League Regional, comprised of VA,WV,NC,SC,TN,GA,FL and AL, and this year is being held in Warner Roberts, Georgia (outside of Macon). Virginia State Little League is divided into 16 districts, four of which are local to the DC area. Local representatives Great Falls, West Springfield American, SYA West (Centreville/Clifton) and Loudoun South headed to the Virginia State Little League tournament this year is in Bridgewater, which ran between 7/17/14 and 7/22/14. Here’s how our local representatives fared (Pool play results here and the knockout rounds here). The 16 district champions were divided into four “pools,” and the two best teams from each pool advance to a knockout round. Great Falls: Came in 2nd in Pool A and was waxed by SYA West 11-1 en route, and indicator of just how strong SYA is this year. Advanced to knockout round. West Springfield American: Allowed just two runs in three pool games to win Pool B and advance to the knockout round. SYA West: Allowed 4 runs in 3 pool games (including wins over Great Falls and Loudoun South) to win Pool A and advance to the knockout round. Loudoun South: Unfortunate to be grouped in with powerhouses SYA and Great Falls; eliminated in Pool play. In the State quarters, the three remaining Northern Virginia teams advanced along with defending state champs Tuckahoe. In the state semis on 7/21/14, SYA handled West Springfield easly and Tuckahoe eased by Great Falls, likely pitting the two best teams in the state together in the final. In the State final,Tuckahoe repeated as state champs with a 5-2 victory over SYA. Links to past Virginia State little League champs: its only up to 2011. Great Falls was your 2012 champ and Tuckahoe in Richmond was 2013. Maryland is divided into 8 districts (though only 7 of them compete in the State Tournament; read below for the DC “district 3”). Links to the district results are here. Maryland’s state tournament finished over the 7/19/14 weekend; West Salisbury came out of the loser’s bracket to sweep Sharpsburg in the state final. As a reminder, despite being just a “district” within Maryland, DC’s champion is treated like a state champ and heads directly into the regionals at the “major little league” level. DC’s playoffs finished up on 7/22/14. As expected, the two dominant programs in the city (Capitol City and Northwest Washington) met for the title (though they both had to work to get there), which was won on 7/22/14 by Northwest 5-2. Congrats to Tuckahoe, West Salisbury and NW Washington as our three local state champs, heading off to regional play. Lets hope for a local representative in Williamsport this year. I’m sure, based on comments in the previous thread, that some will think the results of the Nats 2014 draft will be overblown. Fair enough. Yes the draft is a crap shoot, especially after the first round. You can take that angle and tell your self that its not that big of a deal that the team blew its 2nd and 8th round picks. But this fact remains: At the draft signing deadline for the 2014 rule-4 draft, out of 315 players taken in the first 10 rounds (and supplimentals), just six players were unsigned. And two of them belong to the Nats. This team is doing squat in the international market and, outside of a few marquee names, has a pretty thin farm system right now, and needed to get high-end talent out of this draft. But they didn’t. An over-slot starter coming off of Tommy John surgery (which doesn’t have a 100% recovery rate, lets remind ourselves) who may or may not have even been a top-15 talent (as he was paid) before he got hurt. Every draft pundit I saw had him in the late 20s factoring in his injury. Four college senior/throw away signings who all scream “org guy” and likely all wash out within a couple years. A massive over-slot HS catcher who, if everything goes *perfectly* for the kid’s development, we may see at the big league level 5 years from now. 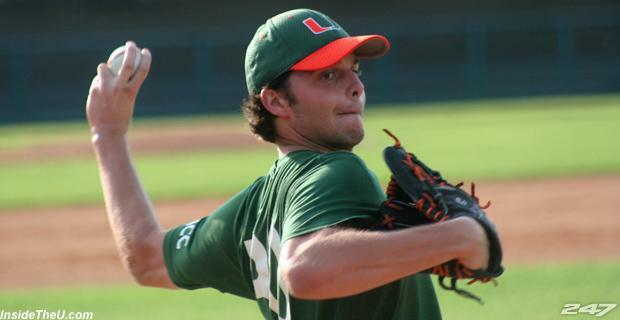 A Juco pitcher who so far is getting *hammered* in the rookie league. A 6th round pitcher from a middling college in a low-end division 1 league. A compensation pick in the middle of the 2nd round next year. Wow. I’m overwhelmed with anticipation to see how our 2014 class turns out! 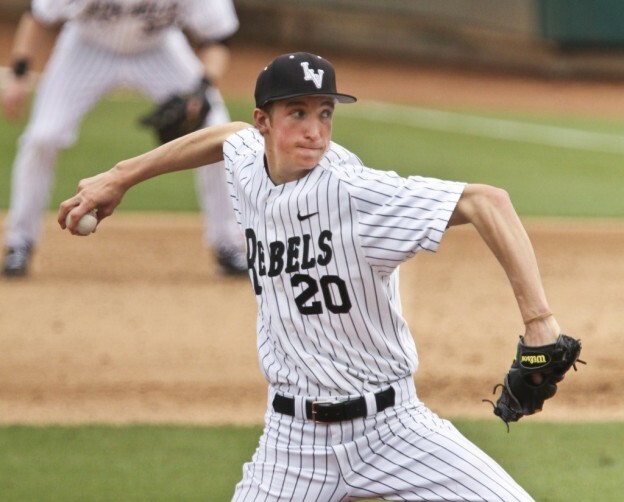 To say that Mike Rizzo has gambled this entire draft on the future potential of Erick Fedde is an overstatement. Most scouting reports on him have his ceiling as a 3rd starter at best, not exactly the same as drafting a Tyler Kolek or a Carlos Rodon. If Fedde flames out or is converted to a reliever (as more and more it seems last year’s pick Jake Johansen will be doing thanks to his apparent inability to pitch more than 4 innings at a time without getting blasted), we’ll be talking about the “hole” this draft leaves in the system for some time. Two of the other unsigned players from this draft are far more high visibility: the situation with Houston and Brady Aiken (and its fall-out consequences of costing them Jacob Nix and to a lesser extent 21st round pick Mac Marshall) is a huge problem for baseball. I agree with Keith Law wholeheartedly; the Astros reneged on a draft-day deal with arguable “findings” in the medicals, and that haggling cost them another pre-arranged deal with Nix. Both players have serious cases for a grievance; the Astros pulled back on verbal agreements that may end up being legally binding, AND both are high school kids who failed very high-profile professional negotiations, likely negating their NCAA eligibility/accepted scholarship offers to UCLA. Its a mess all around. Personally, I hope both players file a grievance with the union and are declared free agents, free to negotiate with whoever they want. Certainly there will be another team that looks at Aiken’s medicals and has no problem giving him far more than the $6.5M bonus (approx) that was pulled back. I read an opinion yesterday that said he could get a 6yr/$20M deal given his capabilities. It highlights the grave need for a “player combine” similar to what the NFL does, where players showcase for scouts all together and get consistent medical advice that is available to all teams. Sorry to sound so negative, but taking a high-profile/high-cost injury-risk pitcher for the 3rd time in 4 years (Giolito, Purke), missing on your 2nd rounder, and missing on the one potential “over slot” guy that you should have been saving your pennies for by drafting throw-away college seniors in rounds 5 through 9 is a failed draft for me. The Nats are going to have to get some “finds” out of this crew, or out of the rest of the class, to make up for these mistakes. Are the Nats going to be able to sign these guys? I smell whiffs from 2008’s Aaron Crow debacle. (Which, just to head off hindsight is 20/20 arguments, did result in a comp pick that turned into Drew Storen … but Storen was a huge overdraft at the 10th overall pick in 2009, a college reliever who was a quick sign. The Nats left a lot on the table in the Crow non-signing, as discussed in this space recently). Right now, as of the morning of the 2014 Rule 4 signing deadline day, there exists just a small handful of players from the first 10 rounds of the draft who have not signed. According to MLB.com’s great draft bonus tracker, just NINE players out of the first 315 players drafted remain unsigned as of the moment of this posting. Three of them are Washington Nationals draft picks. And they include the two most important picks of the draft; i.e. our first two picks Erick Fedde and Andrew Suarez. What is going on?? We havn’t seen these kinds of difficulties in signing guys since before the slot bonus system went into place. What is Mike Rizzo doing? 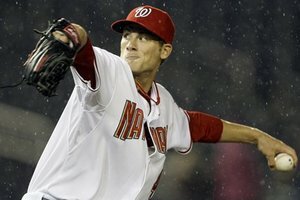 According to reports (this Bill Ladson report quoting Jim Callis and Adam Kilgore), Fedde got a “$3M offer” from another team he he dropped to them in the 2nd round and (with notoriously difficult negotiator agent Scott Boras in charge) is holding out for more than the assigned slot bonus to his pick ($2,145,600). The Nats can go a bit above the $2.1M figure without incurring penalties … but it depends on what happens with their other two marquee picks. Media pundits (unnamed of course) are predicting a stalemate here. Meanwhile, the general sense from reading the tea leaves is that Suarez will sign at or near slot (which makes you wonder what the heck is taking so long? ), while unsigned 8th rounder Austin Byler seems to be unsignable at his slot figure ($145k) and will be returning to school. Byler’s non-signing isn’t too much of a surprise; he was a 3rd round projected guy who slipped to the 8th round, and the Nats didn’t really free up that much cash in its other first-10-rounds of picks in order to get Byler the $600k it likely would have needed to sign him. Aside: speaking of lack of signing bonus money for Byler; is overpaying its college senior signs? They drafted four college seniors in the first 10 rounds (Carey, Gardner, Van Orden and Page) and gave them combined more than $200k. Could that 200k have been better allocated? Did those seniors need to be offered that much money? It makes zero sense to me for Fedde not to sign frankly, even if he’s offered less money; by the time he rehabs his TJ surgery, it’ll be nearly the end of next year’s college season. There’s just little chance of him going higher than he did this year, nor getting as much bonus money offered. And if he has the slightest setback in his recovery, he’ll be lucky to be drafted in the first 5 rounds next year and will be looking at a tenth of the signing bonus offers. And, if he doesn’t sign, he’s rehabbing under the care of his personal physician instead of an experienced professional major league team that has rehabbed probably a dozen TJ surgeries in the last few years, including some pretty significant and nationally renound names. Why this is taking so long is just beyond me. If the Nats fail to sign all three guys, they’ll have compensation picks in the form of the 19th overall pick in the 2015 draft for Fedde and the 58th pick for Suarez (if i’m reading the rules correctly that is; you’re supposed to get compensation for unsigned first, second and any supplemental round picks at your unsigned slot +1 in the following draft, irrespective of how many comp picks get stuffed inbetween rounds the next year). I guess that’d make 2015’s draft pretty good. But they’ll lose the Byler pick altogether. District 16: Representing Loudoun and Fauquier counties. Tournament bracket here. District Champ: Loudoun South Little League, who outlasted Dulles Little League American in the final. Local representatives Great Falls, West Springfield American, SYA West and Loudoun South head to the Virginia State Little League tournament this year is in Bridgewater, starting on July 17th, with a lot of history between them. Four State championships in the last decade to be exact. The tournament pits the winners of all 16 Virginia districts. Links to past Virginia State little League champs: its only up to 2011. Great Falls was your 2012 champ and Tuckahoe in Richmod was 2013. Tuckahoe American will be back in the state tourney to defend its title. District 2: Frederick area. District champ: Frederick National. Maryland’s state tournament started over the 7/11/14 weekend; we’ll cover that in the State review in the next post. Little League baseball in the District historically has been a mess. The website unpage.org has done a great job of capturing the history of little league baseball in the district, which was competitive for years but which completely dried up in the mid 1980s. By the mid 90s though, a rebirth had occurred with DC’s dominant Capitol City league also capturing the Maryland state title. Washington DC has 6 leagues; two of them are competitive (Northwest and Capitol City) and the others struggle (Capitol Hill, Banniker City, Satchel Paige and Southern). It encompasses just one “district” within Maryland’s structure but for the 11/12 year olds, DC’s winner is treated like a state champ and is entered directly into the Regional tournament. Either Capitol City or Northwest has won the city title every year a tournament has been held. No DC team has ever advanced further than the Mid-Atlantic regional semi finals. DC’s playoffs are underway and finish up on 7/22/14. We’ll cover them in the state round up.